Now I know smoking may be hard for some ESPECIALLY if your a regular / heavy smoking. To just put down a cigarette is hard. You may of seen the post last month when I was introduced to e-cigarettes. These are a great way to get off the actual cigarettes. I'm not a heavy smoker, I am a social more stress head smoker. Yet I do find with e-cigs because they don't 'end' you only smoke as much as you need. Whilst with a real cigarette you tend to smoke until there's nothing left & of course it's not good for you. TABlites are a e-cig company that have great value for money e-cigarettes. the cartomisers come in different flavours, such as tobacco, pineapple, strawberry, grape, cola and menthol with varied strengths. 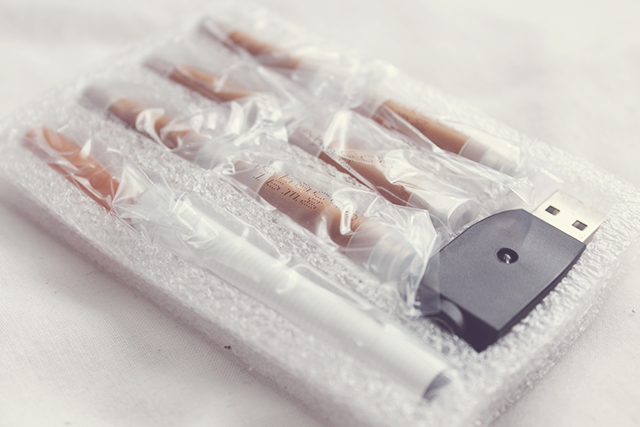 It makes smoking a little bit more pleasurable when you have different flavours! Even though I did smoke, it makes that taste of nicotine in the mouth a thing of the past and not missed. Charged via a USB it makes it easy if you work in an office to charge & at home. Personally I think going cold turkey will be hard for some during Stoptober, I applaud those who will be able to do that but for some I think easing off is a better option. I find myself not smoking as much. I get to hit my craving whenever I need without those added ingredients or dangers - maybe the damage has already been done but who wants to add to it. 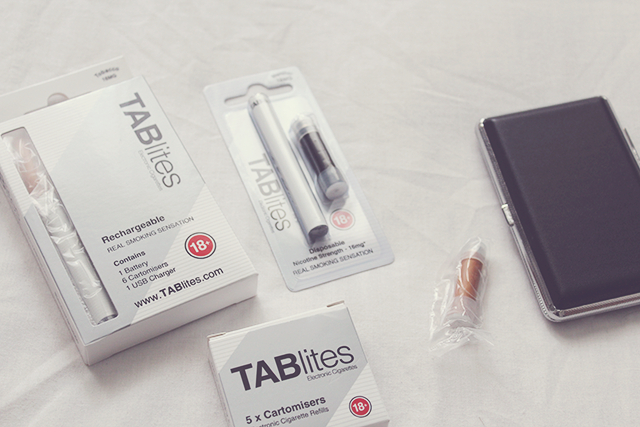 Get your TABlites* available here and join me for an easing off Stoptober. I hope you can make it through the 28-day challenge. Indeed, tobacco smoking can be very addicting. Thank goodness, we have electronic cigarettes to help cut the bad habit. This is a good idea. I've been doing it on and off for years now. I think for me it's more of a habit? But do agree E-cigs are the way forward. Only concerned about nicotine addiction. Let's say you quit smoking through E-Cigs, then how would you wean yourself off the Nicotine? Good luck LaaLaa, from myself and all at TABLites. On the subject of weaning yourself off the nicotine addiction, some people who start 'vaping' the medium strength eventually switch to the low for a little while and then stop entirely. Some people just stop. Others still simply carry on; without the thousands of harmful toxins found in cigarettes you're actually on pretty safe ground, nicotine has been likened to caffeine in coffee and the Medicines and Healthcare Products Regulatory Agency (MHRA) has concluded that 'Nicotine, while addictive, is actually a very safe drug'. Still, it's obviously a very personal decision whether to kick an addiction or not. Again, good luck to you and all Stoptober challengees.